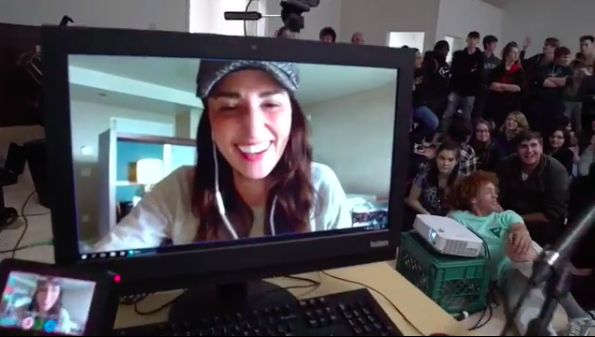 Sara Bareilles chats with Eureka High School students on Skype. The music department at Eureka High School has a little more string in its step after a gift from a famous alum yesterday. 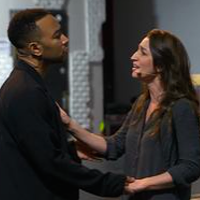 Music, Broadway, TV and soon-to-be Apple TV star Sara Bareilles teamed up with Yamaha Entertainment Group and Eastman Strings to send her fellow Loggers some string instruments and audio equipment. 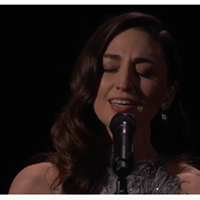 Bareilles posted a video about the donation and her Skype chat with students on Instagram (watch below) in which you can hear the EHS band cranking out her hit "Love Song." The #EurekaHighSchool music program holds a near and dear place in my heart. Thank you to my wonderful partners #shure @yamahaentertainmentgroup & @eastmanstrings for bringing some much needed love into this school. 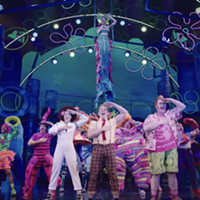 Please support your local music programs!